Don’t forget to use your FREE Delta Air Lines AMEX companion ticket or give it to a friend! Choice is good. It is amazing to me how many choices we have with the Delta branded AMEX cards. The GOLD personal Delta card is good for the 30k points, low spend needed, Zone 1 boarding, 9 free bags and for the 20% discount on food / drinks on-board but NO LONGER included any kind of discount travel companion certificate. 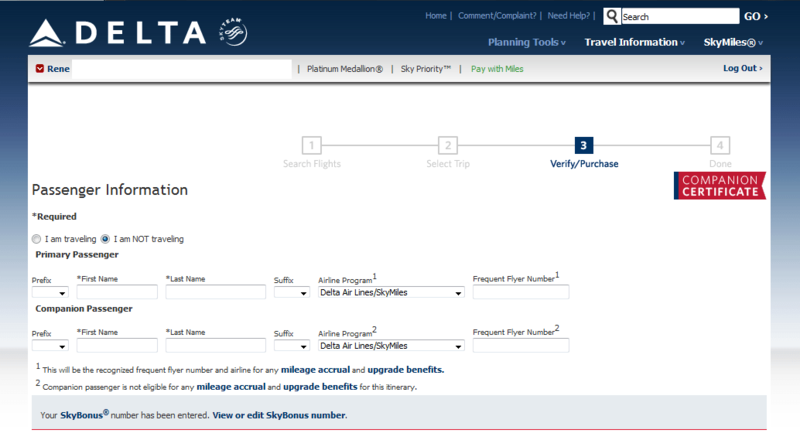 However the Delta Platinum with it’s non-waived $150 fee and 20,000 (25,000 if you add 2 free users) Skymiles bonus for does come with more perks. In addition to the 5,000 MQM’s you get, one of the great benefits of the Platinum card is the free coach companion ticket while the Gold does not. Then click on Manage Profile then at last Certificates & eCredits! Then you will see the list of all the certificates of any kind you have including the one from your AMEX card. You then simply click the box to select it and pick where you want to go. Now some good info about these. As you can see below, if I want to use mine to go on a ski trip, I as primary will earn MQM and RDM’s ( medallion qualifying miles and redeemable (ie Skymiles) miles ) but my bride will not! We will NOT be able to get upgrades but other medallion benefits are extended to us. Per the T&C, you MUST pay for the ticket with your AMEX card but friend #1 will earn miles and friend #2 will not. Also, if YOU are part of the SKYBONUS program I talked about here, as you can see from the photo above, YOU will earn Skybouns points for their trip! The companion cert has been the primary reason I kept this card even after shifting my spend to other point-earning cards to meet a minimum spend or build up MR balances. I do miss the 10K MQM bonus I used to get, but I don’t fly enough these days for that to make a difference. But the $150 annual fee is very worth this free ticket and other benefits when I do fly. they waived the annual fee for us this year, I think because we spent over 25k on it last year, (thanks to the US mint)…..so before you cancel it never hurts to ask. Hey Rene, how often can the companion ticket be used? Is this something that can be used for each Delta trip booked using this card, or is it limited to once per year? I moved from DL Reserve to AMEX Platinum last fall. I didn’t expect a companion certificate for 2012 but at year’s end, the cert showed up in my profile – despite the fact that I cannot pay with a DL AMEX card. I wonder if anyone else has been in my situation and had success paying with another AMEX to keep the 2 for 1 benefit. If I upgrade my Gold DL Amex to Platinum and pay the fee, will I get the companion certificate right away, or do I have to wait until I pay the NEXT year’s fee? Thank you! I have never used the numerous Companion Ticket from Delta Gold card, simply let them lapse. 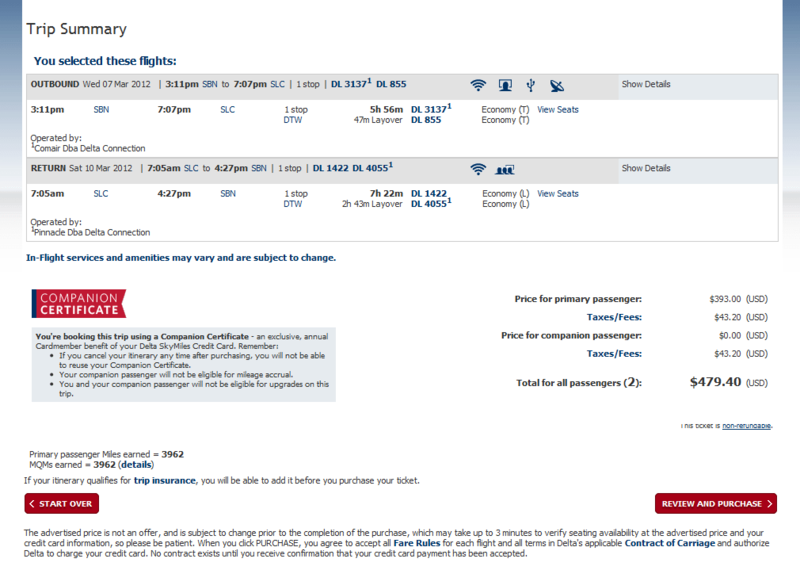 My Current Delta Gold Companion ticket is good until June. US Airways gave me one with their card but tickets had to be purchased by 11/30 and travel by 5/31/12 so thats dead. I still have one from Alaska Airlines and I will get a 1st Class Companion ticket when I renew my Delta Platinum card in October. I thought the rules required that the Credit Card holder had to travel with the companion who paid full price for his fare; which I considered a marketing ply to sell high price tickets. I remain skeptical that I can just call up a friend and ay “Hey do you and your partner want to use this Companion ticket?”. They all will probably still go unused. Thank you for this overview, I just found your site today and I find it very interesting! I have a bunch of skymiles and I am trying to figure out what to do with them! In your opinion, how does this companion fare compare to the companion fare from the Alaska Air credit card issued by BOFA? These cards seem like a great method to get discounted tickets to Hawaii imo. Nobody in my family currently has this card. Does the companion ticket work for international flights? If you use the ticket, can either be upgraded using miles? @Alex – domestic only (no hawaii unless you live there) and no upgrades at all (unless you are GM+ then you can pick EC seats). 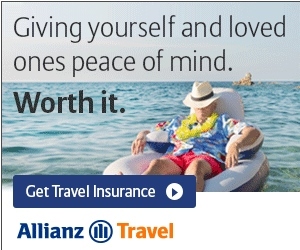 I signed up for the Gold American Express,in January, because, a Delta stewardess told me what a great deal it would be if I was to sign up before my next flight, which is in March. I could use the companion pass to pay for my husbands ticket. Come to find out, I don’t receive that pass for a full year. 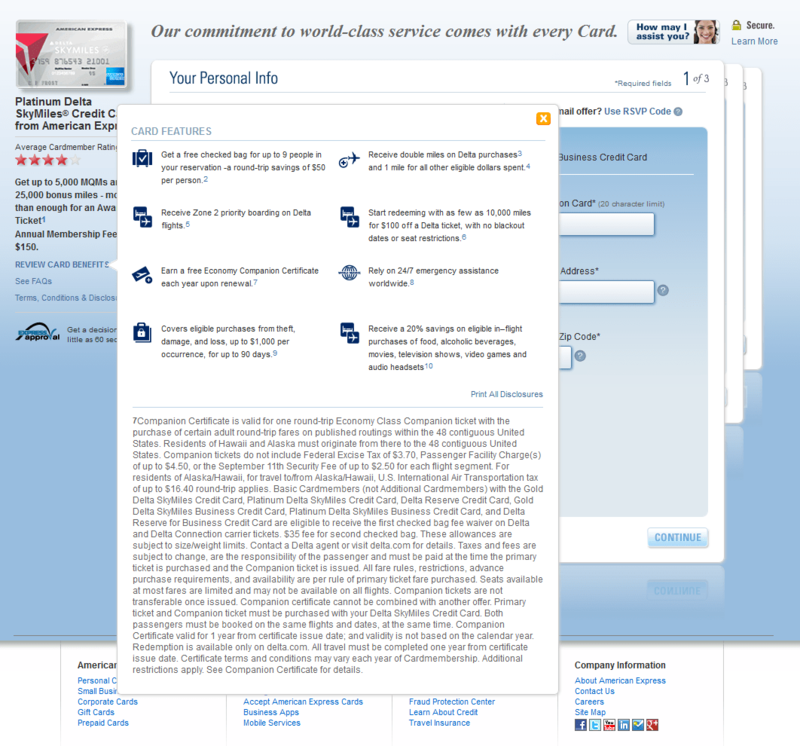 The word for the day,”ANGER,” is how I feel after talking to Delta and American Express about false information. Thank you both for the Ooops, I’m so sorry speech, but it wasn’t comforting at all. I still feel like I’ve been scammed and it doesn’t feel good. I’m a rookie to Delta and the blog, recently took a new job that will require extensive travel. Signed up for AMEX reserve but I don’t see a companion ticket in my certificate section online. Do I not receive this until the 1-year anniversary? @Justin – correct you DO NOT get a cert until year 2 start ie your 1 year anniversary. I recently was emailed the information concerning my free companion ticket, but seem to have deleted the message from my in-box. Where can I call or email to have this information resent to me? I have been trying to use the companion ticket, tried different locations dates etc, it appears the only date it works is if we fly out on a Tuesday, has anyone else had this issue? @Marty – you may need to start at another airport. Where are you starting from? I have actually tried both of our airports— MLI and CID, when I first got CC including the companion ticket I was able to get good flight times out of either of these airports on any day. Now not only is the day restricted so are the flights. I have checked seating and most of the flights every seat is open, any guidance you can give would be great. I’ve had my RESERVE AMEX for 5 years now and have only now noticed that my flight options are limited – I recently discovered ITA. Would contacting an agent at Delta open up other flight options? Would Delta impose a fee for booking a flight through an agent? There are a hand full of flights available but not the times I’m looking for. Thanks for your help. I have a $400 eCredit from a bump I took earlier this year; I can’t use this to pay for any of the ticket price can I? @wes – at ticketing yes. After no. I meant if I am using the Reserve Companion Certificate; sorry I wasn’t more specific. I don’t think I can combine them. I was charged the annual membership fee (this would start my second year) on 4/28. Any idea why the companion cert still doesn’t show on My Delta? @ken – if gold delta that card no longer has one. Plat or reserve card do. Yup, it’s a personal Plat. My friend has a Delta Gold card, and he will be getting in on the last year of having the $99 certificate. He does not have any status. I, however, do have status (I’m Gold Medallion). How can my friend book the $99 companion ticket through his Skymiles account (with no status) so that I am instead designated the primary traveler and he is designated the secondary traveler. I don’t want to pass on the 100% mileage bonus, and he is okay with this. Can you walk me through, step-by-step? @Jason – it is in the post! Just have him put YOU in the #1 spot and HIM in the #2 spot and you will earn MQM & RDM! @Ken Y — mine showed up in my wallet 10 days after the payment for that billing cycle posted, or roughly 33 days after the charge posted. Like the earlier David in the comments, I have never used a companion or $99 ticket and have let well over a dozen from Delta, US Air and BOA lapse. Going to NY in Sept with a friend. I want to use Thank You Points,Flex Points or Chase Reward points to buy my ticket and then buy my friends ticket with the companion cert in my Account from my AmEx Plat. Can I do this and do I have to call a Delta CSR to book the companion ticket? Rene, I have used certs from my account and my wife’s every year and find them a great way to offset the annual fee. This fall we are traveling from JAX to PHX. The economy (V) ticket is $283 all-in, and I checked that this price is the same weather searching the cert page or not. How do you feel about the trade-off between MQMs and saving dollars? At about 4000 miles RT (through ATL) that’s $.07/MQM, plus my Gold bonus miles. With my Reserve awards this year I will hit >49600 MQM. I am tempted to buy my own ticket and roll-over the extra miles. Thoughts? why does my current companion ticket lapse in August 2014? Thought they were good for at least 1 year. Where can I call to discuss this matter. Thank you for a reply. @Elaine – they are issued about 1 month after you pay your annual fee. If you paid like 1 month ago you need to contact AMEX. I would log in to your account and send a secure message. @Randy – yes need to update the post at some point but the rest of the info is still valid. I was charged my renewal fee in January 2014, after signing up for the card (Platinum Amex)in November, 2013, and was just told I will get my companion ticket in January 2015. Is this correct? I have to wait a year, even though they have already charged me the yearly fee? @Steveaux – you get the cert year 2 one month after you pay year two annual fee.